This week’s theme is on IMPORTANT. if you were to join Photo Hunters weekly? all the wonderful photographs that you have taken. The HARD DISK works in many ways. A host to your Operating System (OS). 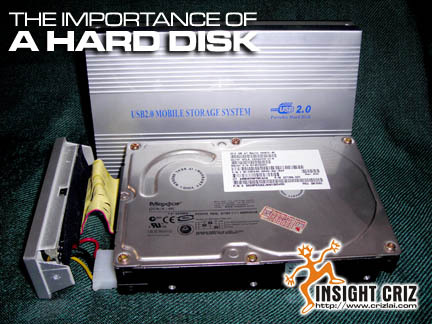 or externally through your USB 2.0 Mobile Storage System.